Thaddeus Stevens was was born in Danville, Vermont and suffered with a disability all of his life (club foot). He grew up in a family with 3 additional siblings (all brothers), his mother and his father. At some point, his father left the family and his mother was forced to raise her four sons on the family farm. Before moving to Pennsylvania, he attended several schools and colleges in the New England area. As a young man, Thaddeus moved to Gettysburg (around 1815) to practice law and opened up his own law office. He was successful with his law practice which then led him into politics. As a member of the United States House of Representatives from Pennsylvania and one of the leaders of the Radical Republican faction of the Republican Party. A fierce opponent of slavery and discrimination against African-Americans, Stevens sought to secure their rights during Reconstruction, in opposition to President Andrew Johnson. Lawyer, congressman, abolitionist, ironmaker, and defender of free public schools in Pennsylvania, lived in a house that stood on this site. He moved from here in 1842. By: 1954 by Pennsylvania Historical and Museum Commission. Stevens was a big advocate on all children receiving a free education from a public school. At the time, this was only possible in Philadelphia and Stevens wanted to make it state-wide and then nation-wide. Thanks to his efforts, children were allowed to attend school and receive a public education in the entire state of Pennsylvania. 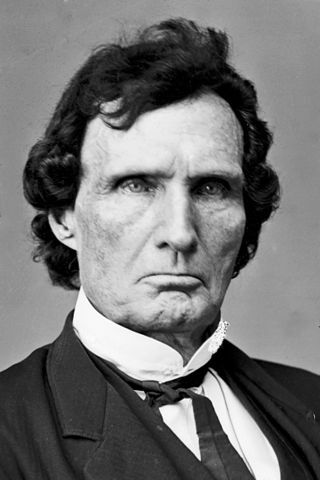 There is a LOT of information and history facts available online about the life of Thaddeus Stevens and his political career that you can look up. In just one hour of doing research online, we found quite a bit of information on this man. What an amazing life that he led and he did a great job during a difficult time in this country to help end slavery and to improve education for children in Pennsylvania.